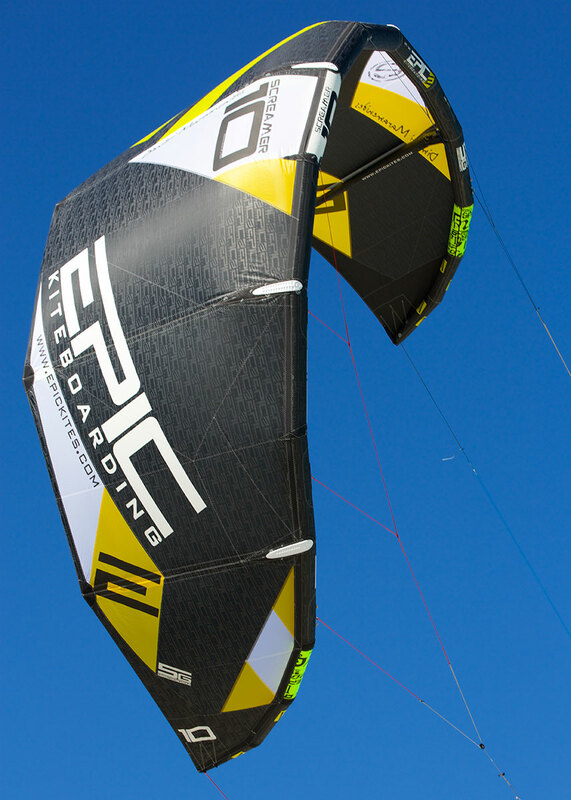 If you've not had the chance to test or own a Screamer 10 LTD then you don't know what you've been missing! 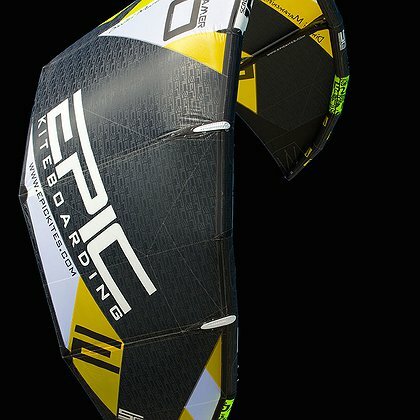 If you have ridden one, then you'll be pleased with the updates and hot new look. 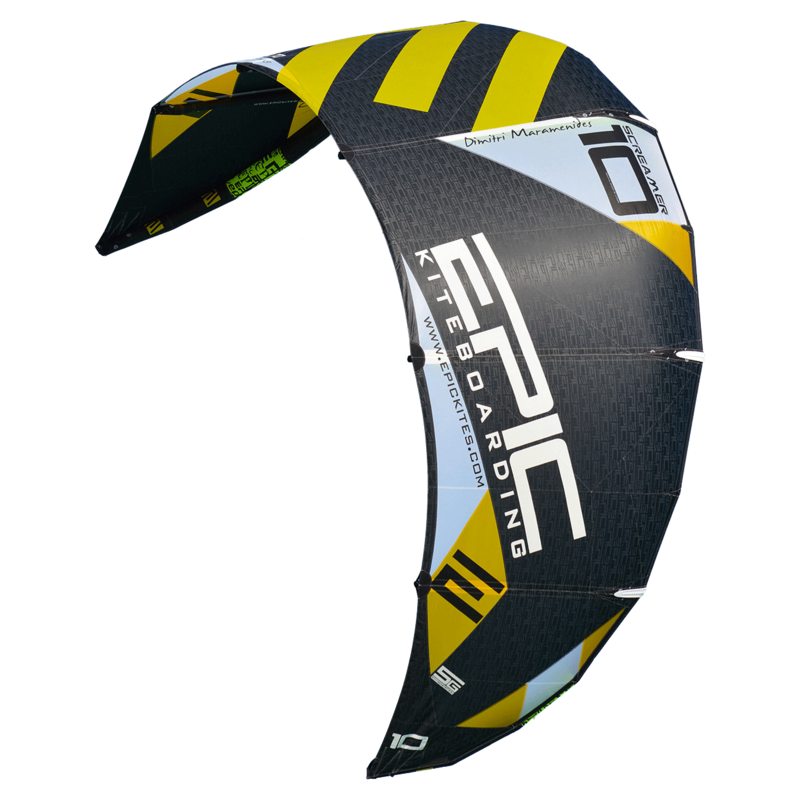 Customers around the world have been providing really impressive feedback that confirms our excitement and passion for this kite. 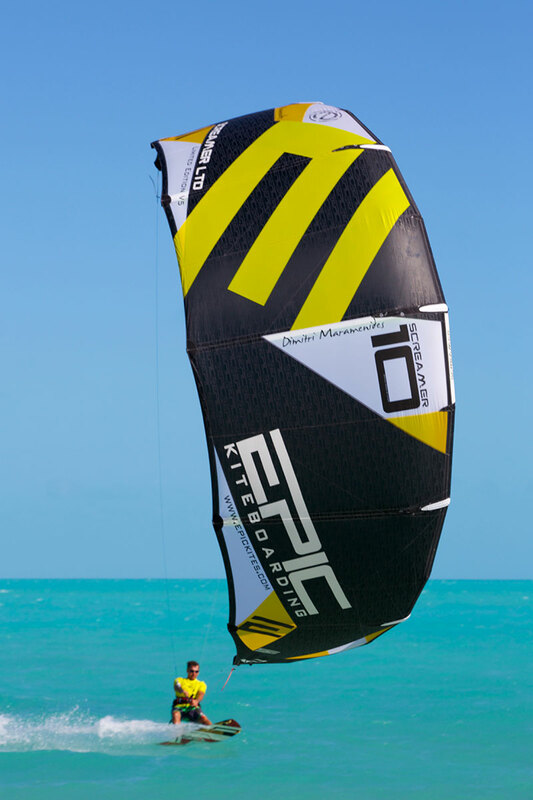 Our beloved Limited Edition 10 meter is a very special kite and trumps our 5G line up. 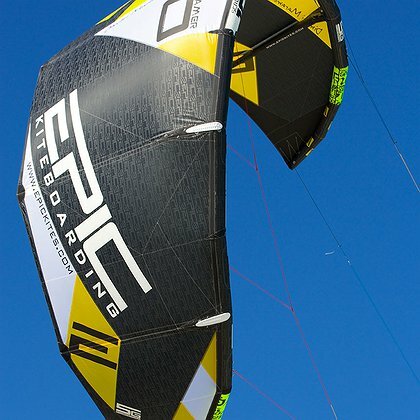 Closely based off the regular Screamer platform, the 5G 10 LTD has a much more robust and full feel. 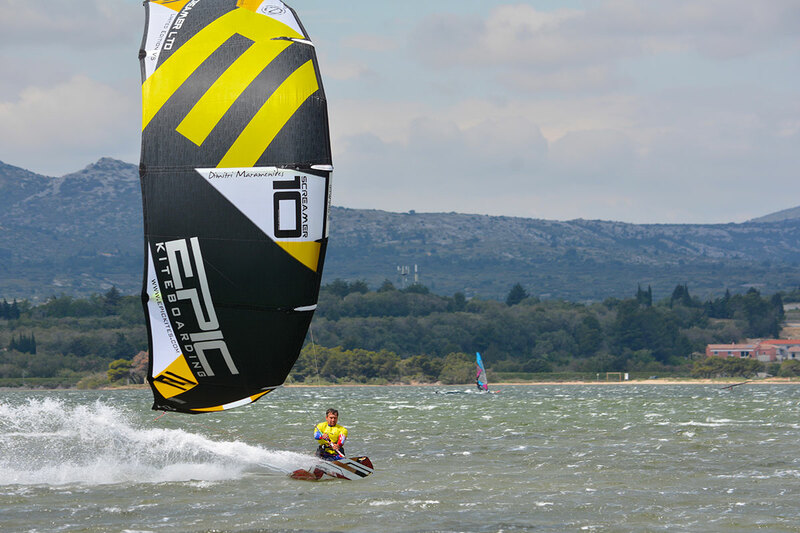 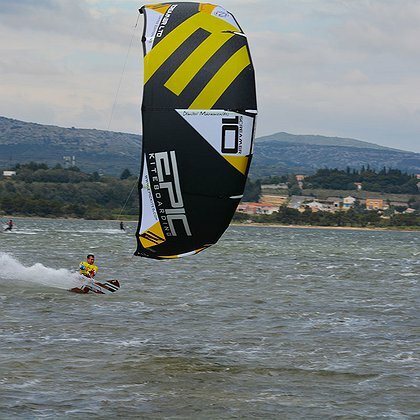 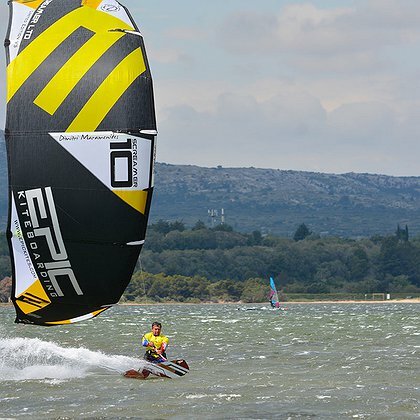 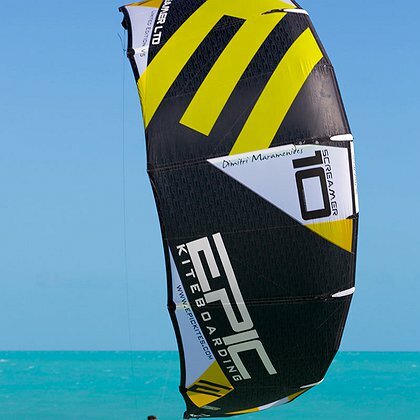 Extremely stable and comfortable, it has that perfect blend of grunty low end, amazing lift and easy upwind drive that has made the Screamer a popular choice. 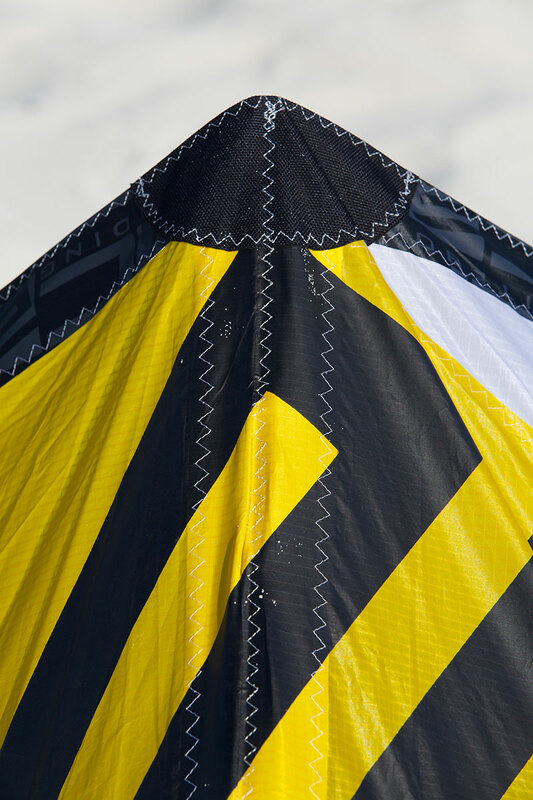 And… it only comes in one color - our visually stunning Limited Edition graphic package. 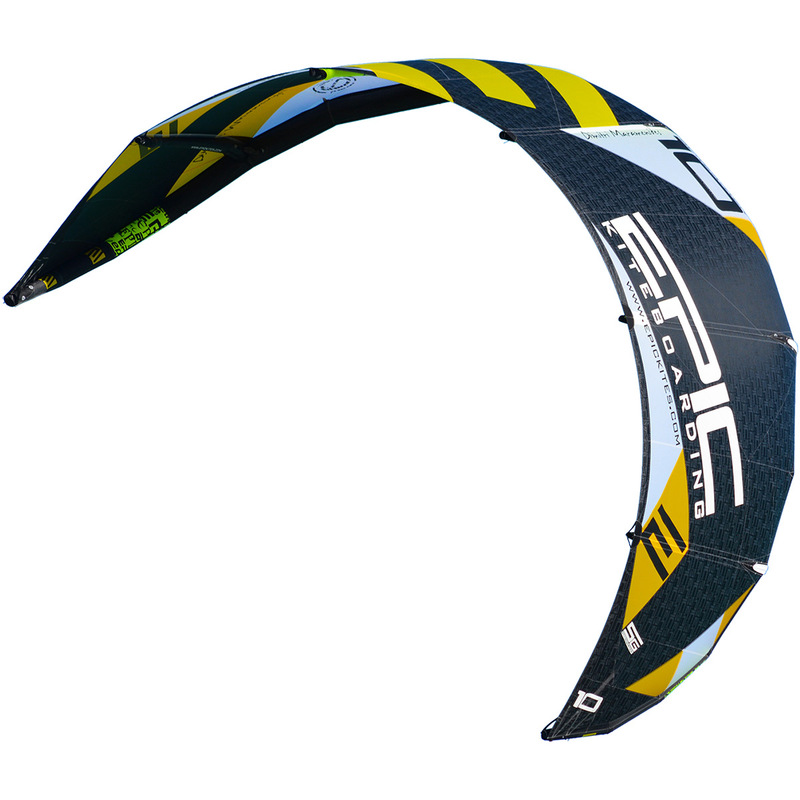 The Screamer 5G 10 LTD uses a modified profile giving it a distinct "C" shape. 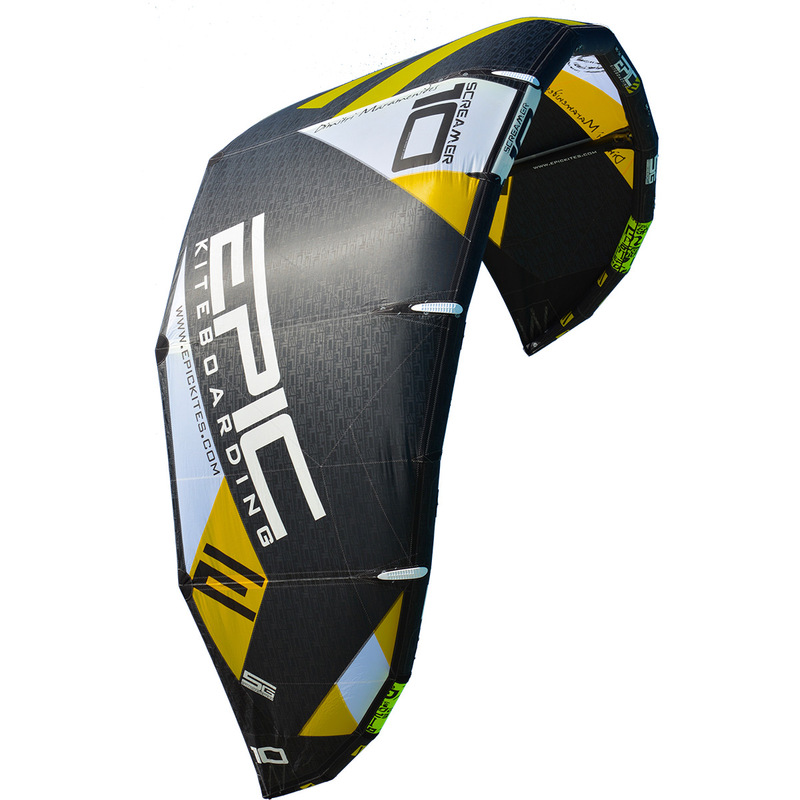 This profile design makes it faster, playful and more powerful than other size Screamers. 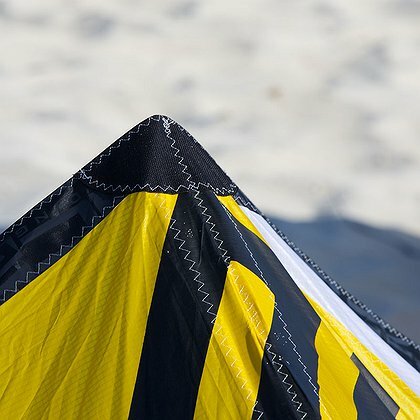 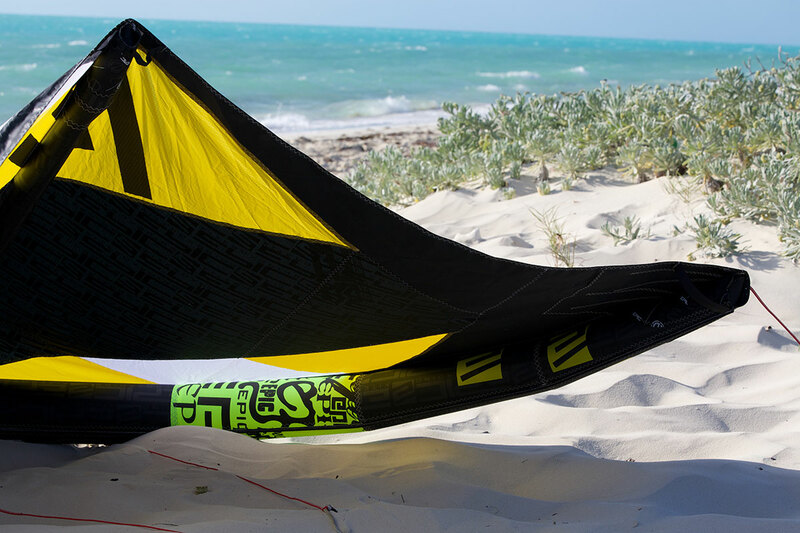 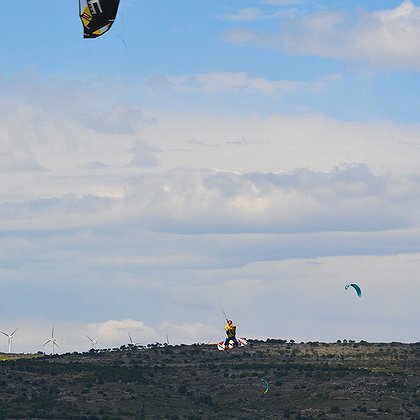 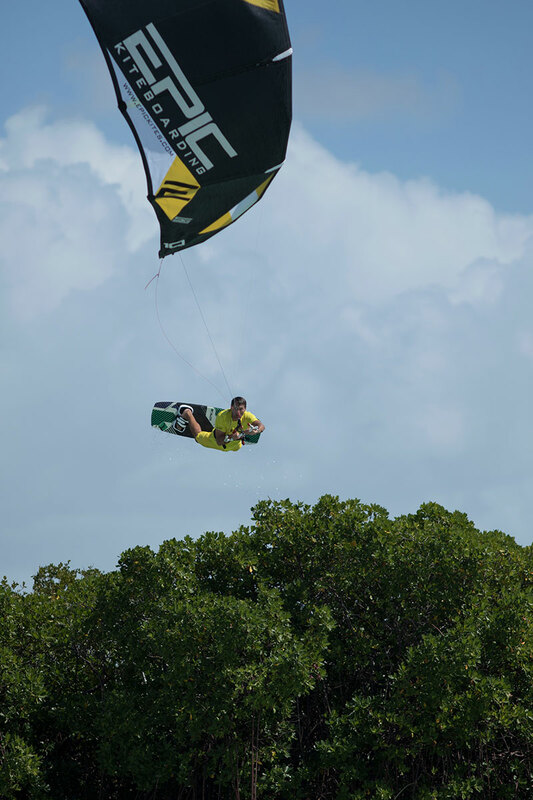 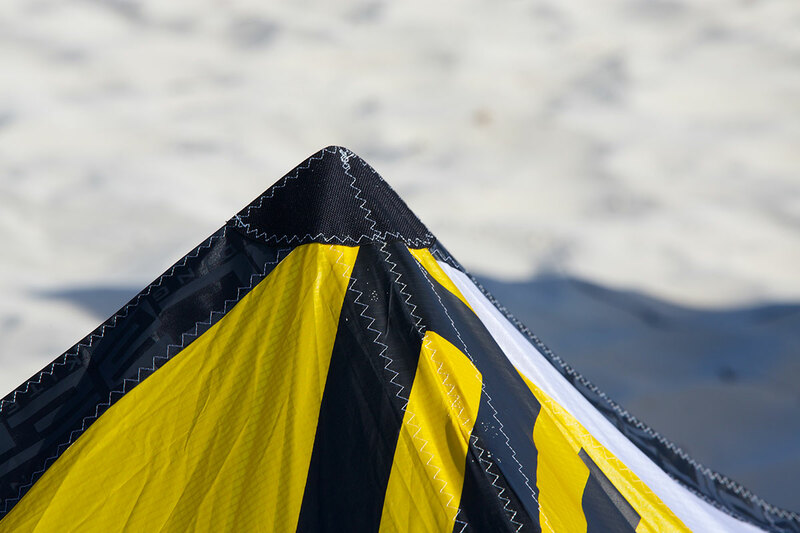 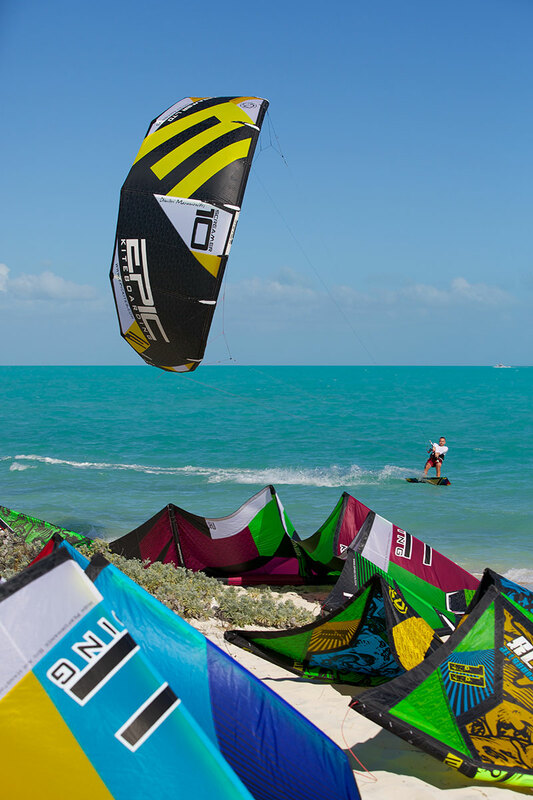 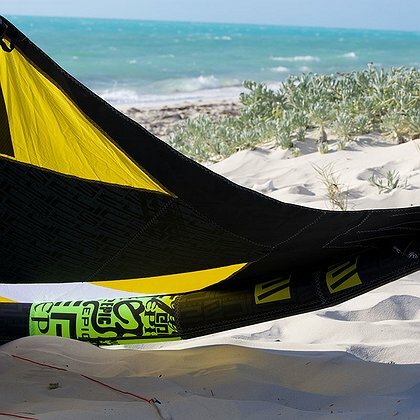 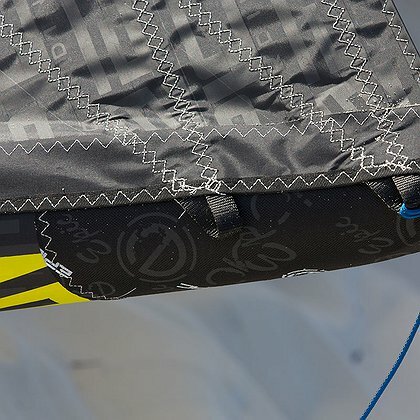 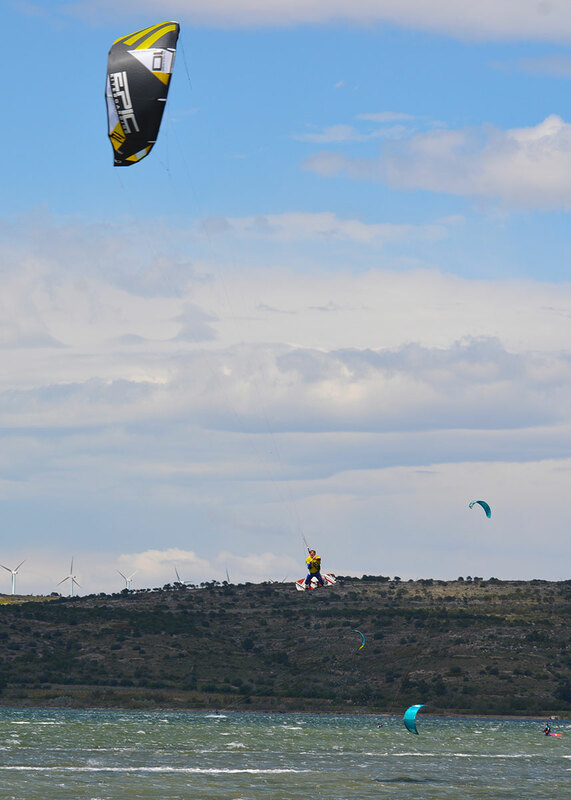 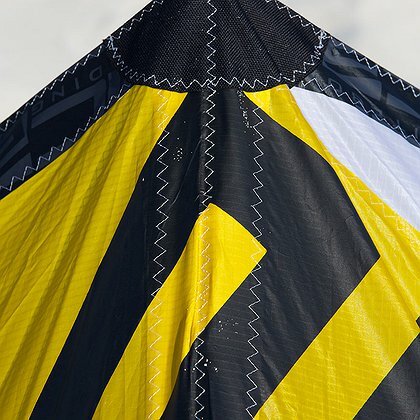 We've retained the massive lift and hang time that gave this kite so much notoriety and recognition in magazine and rider reviews but have created a faster turning kite that is even better for looping or correcting when you're coming in hot. 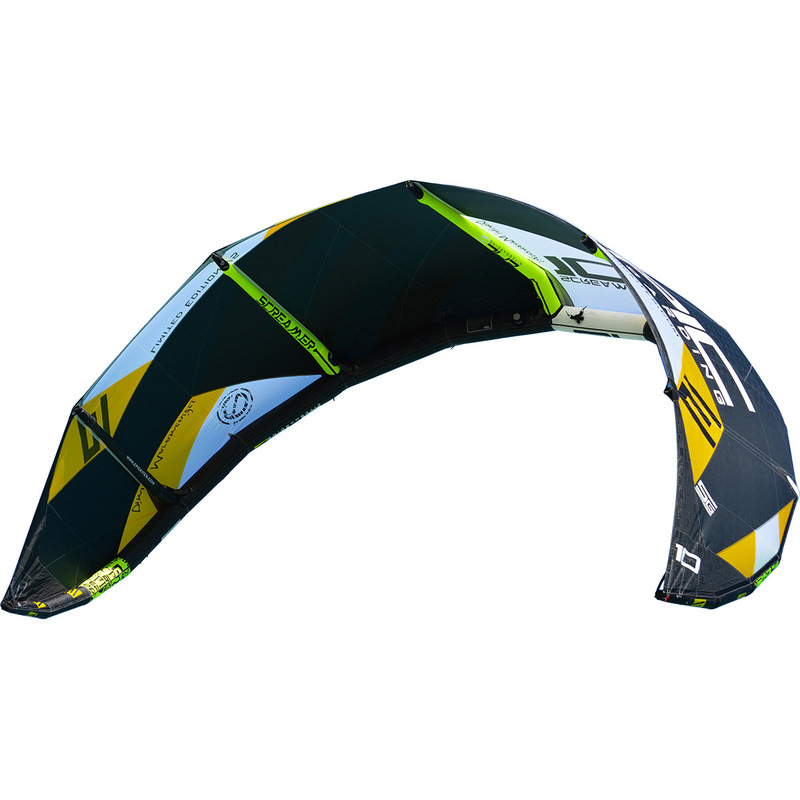 If you're looking to soar, boost massive kiteloops and pound upwind, we know you'll be awestruck by this masterpiece. Essentially the LTD kite is a Screamer on steroids. 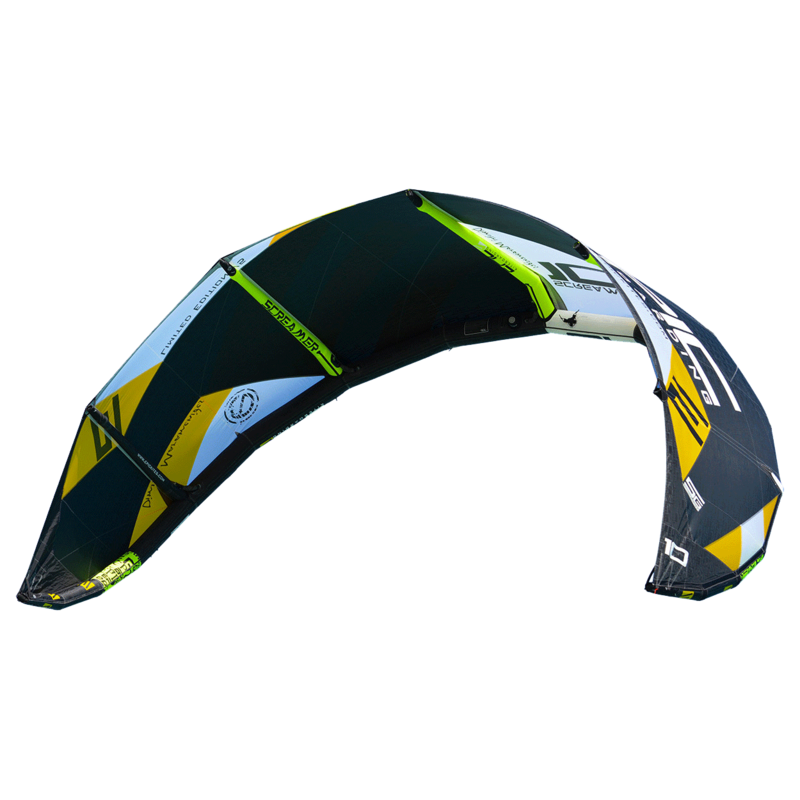 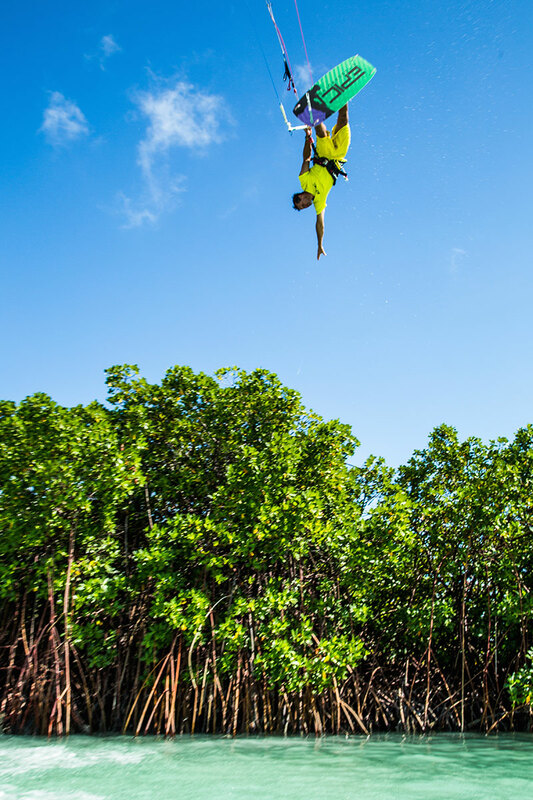 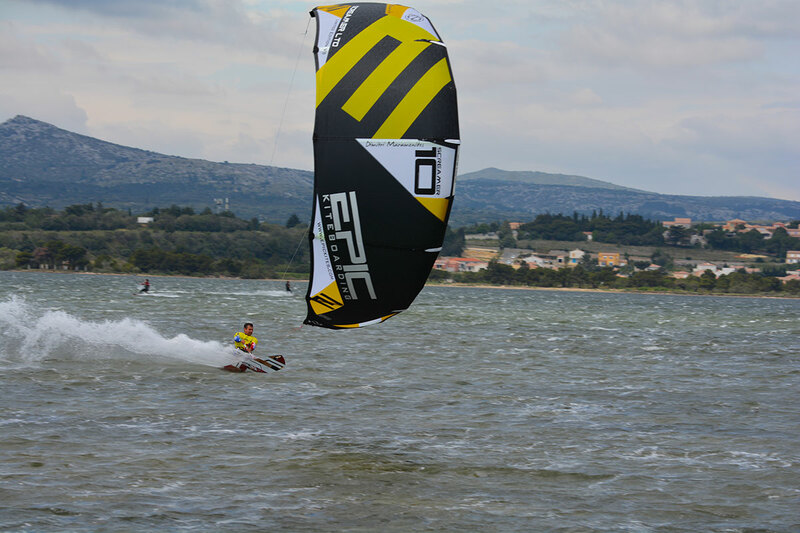 It has more snap, a more crisp feel and explosive release off the water, generating the biggest jumps of your life. 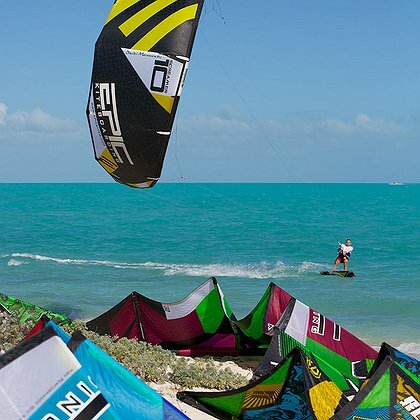 We've packed all this fun into a kite that would almost be a one kite quiver with a range from 15 to 35 knots. 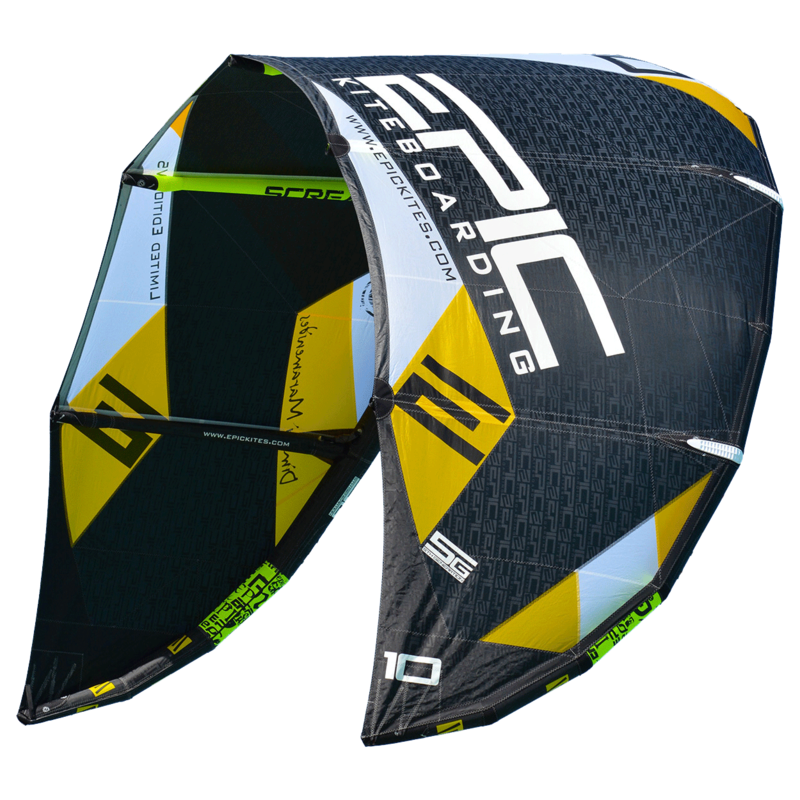 The Screamer 5G 10 LTD is geared towards the advanced rider who will appreciate the reward of aggressive flying. 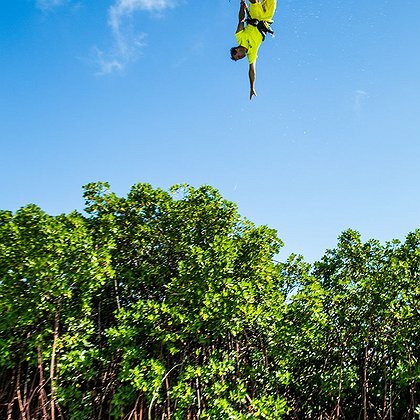 The altitude is not for the faint of heart! 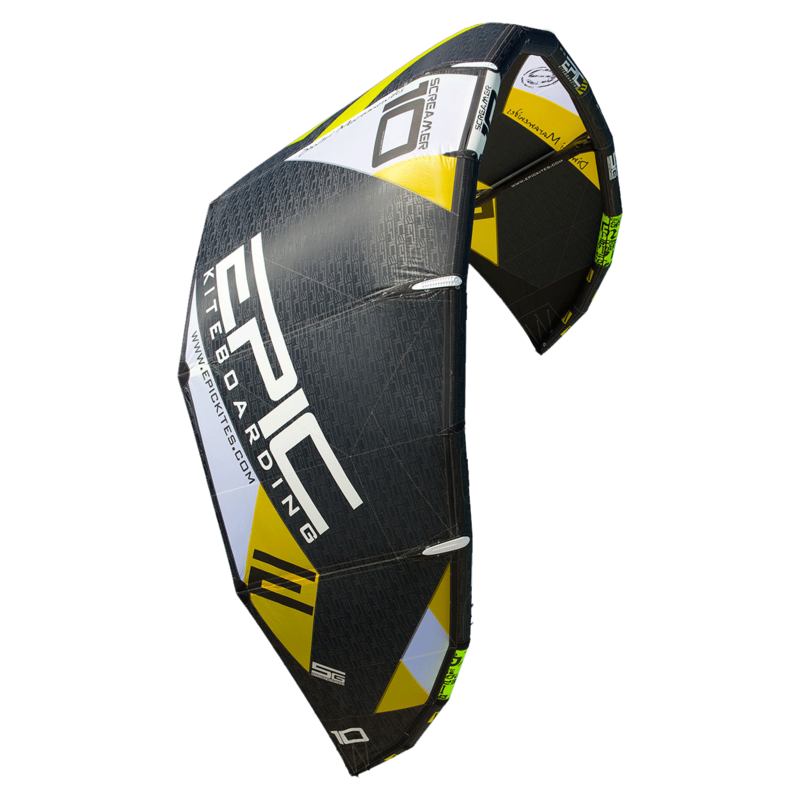 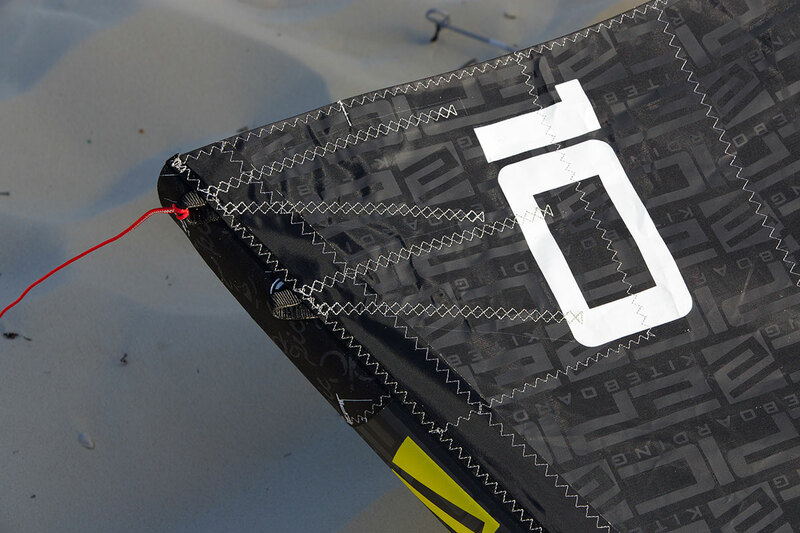 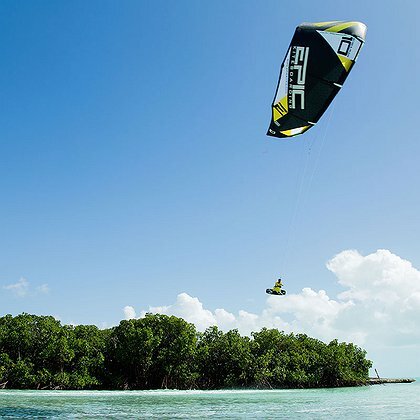 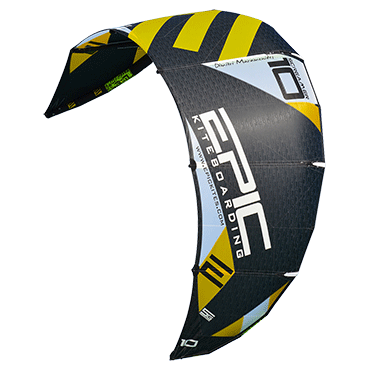 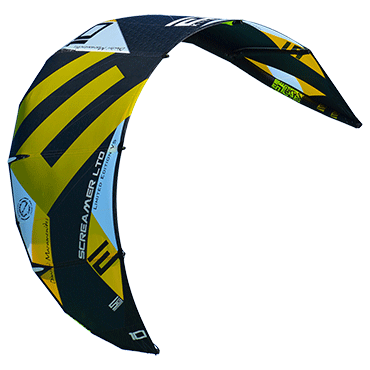 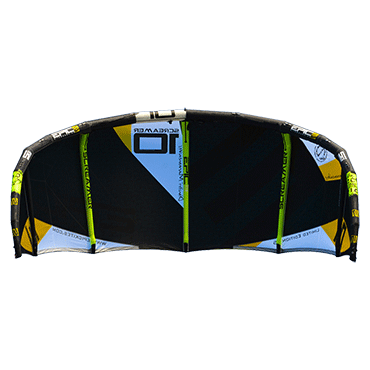 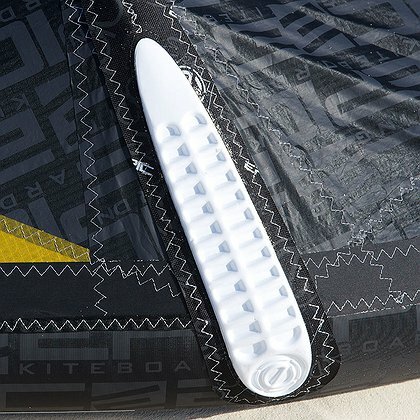 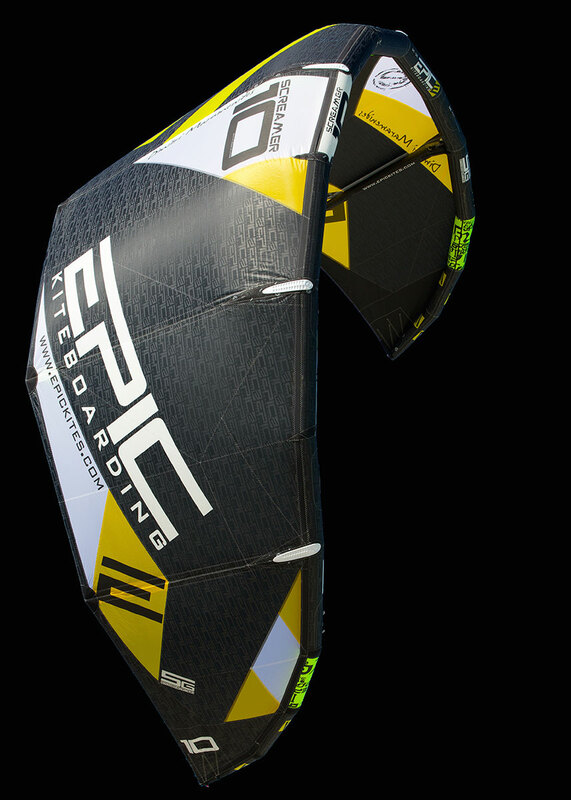 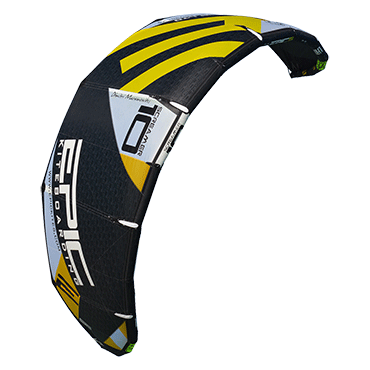 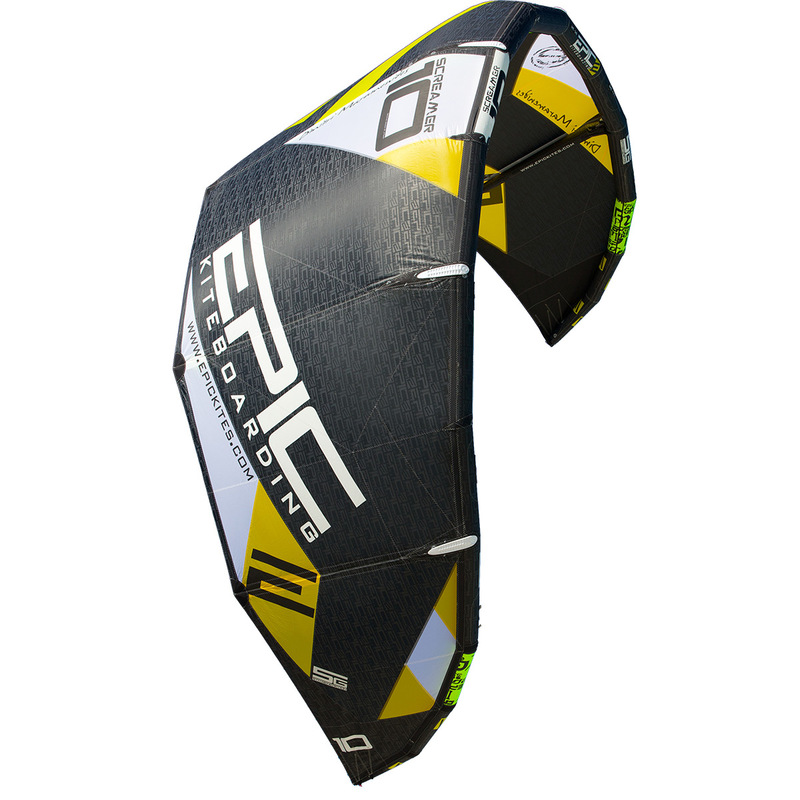 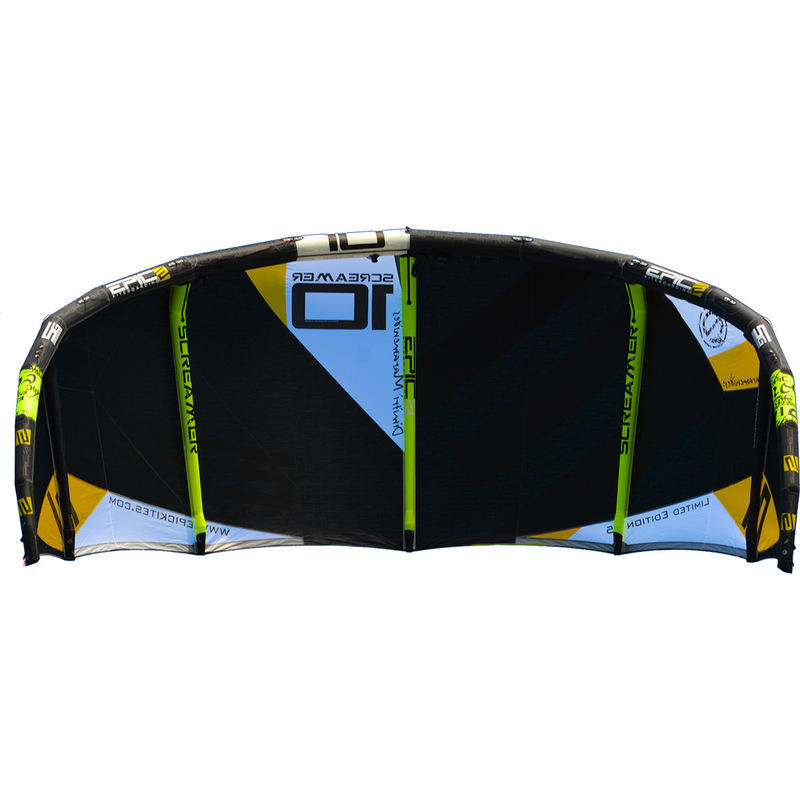 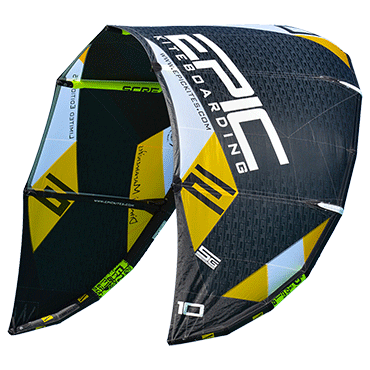 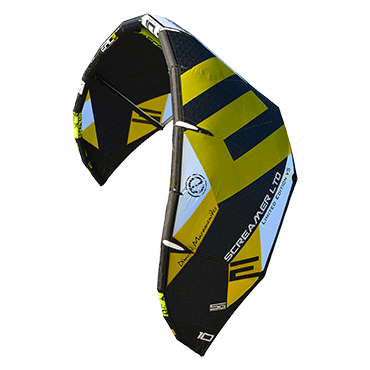 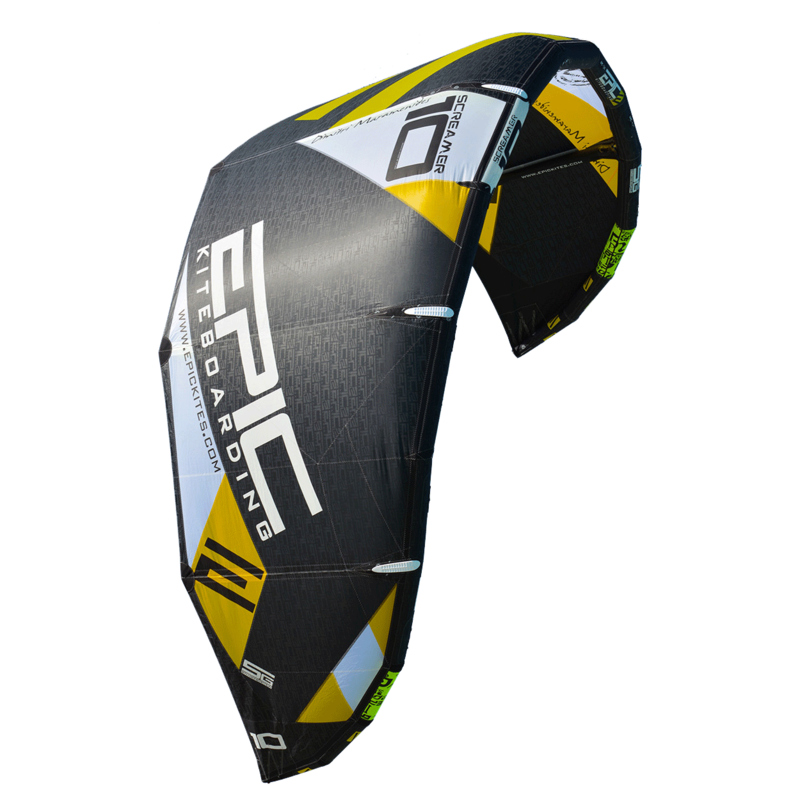 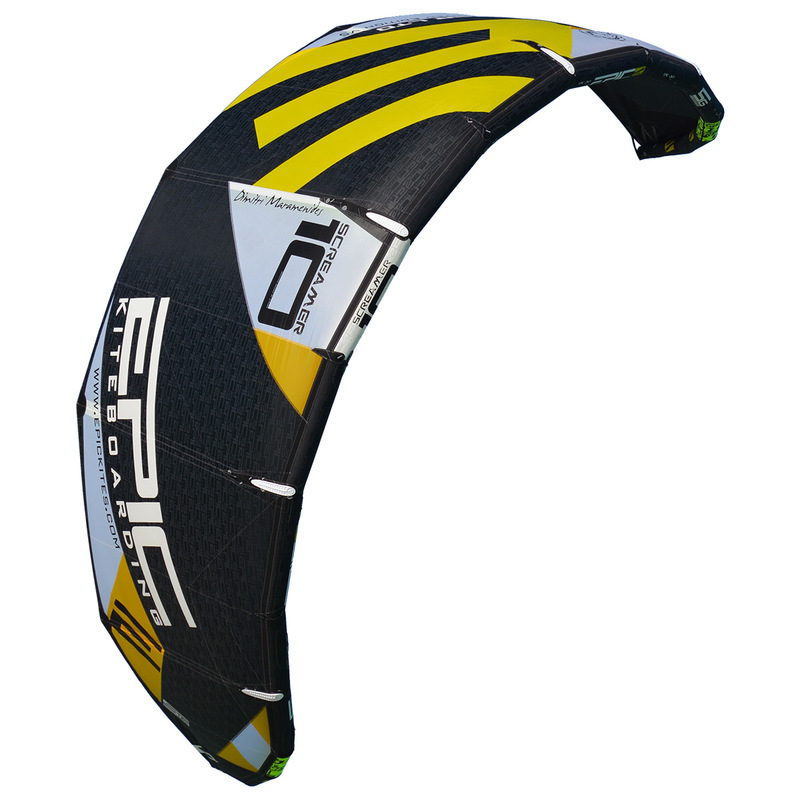 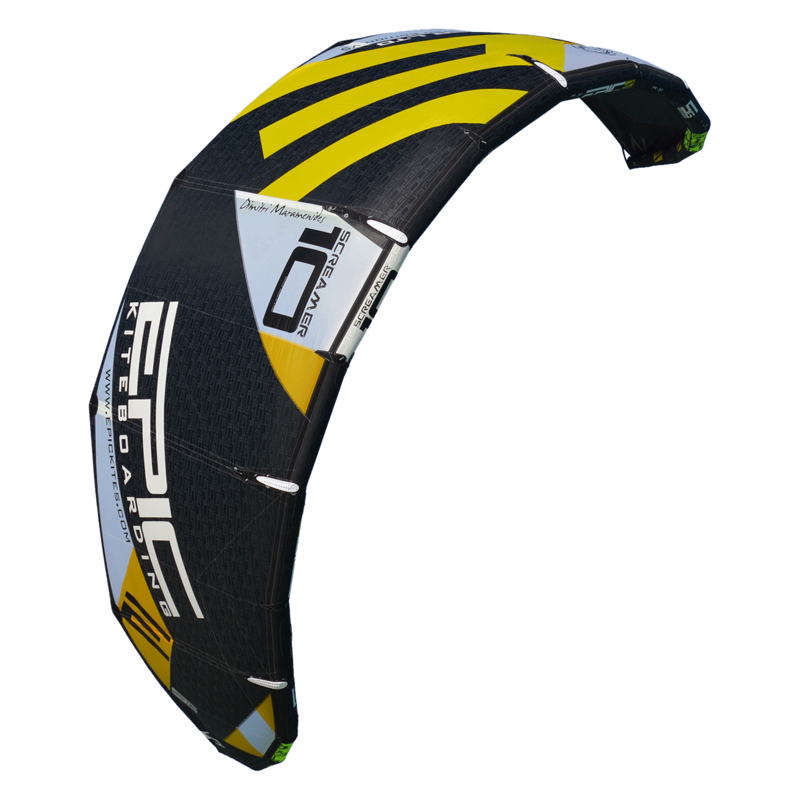 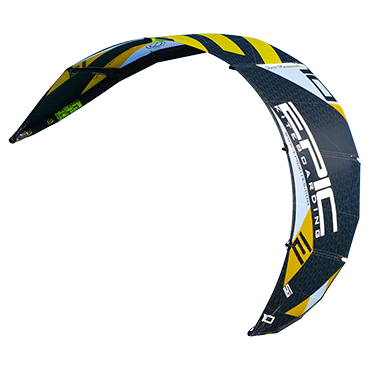 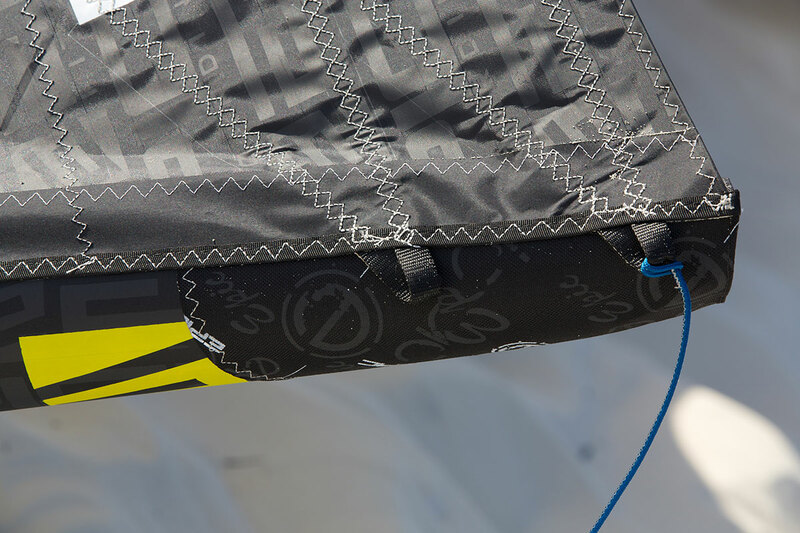 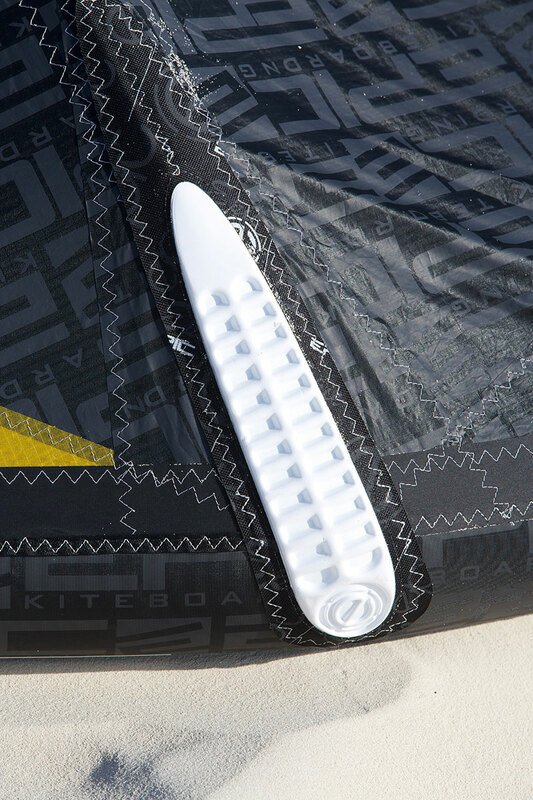 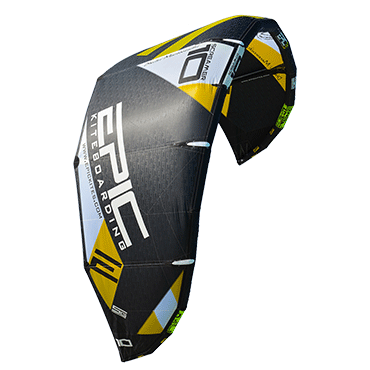 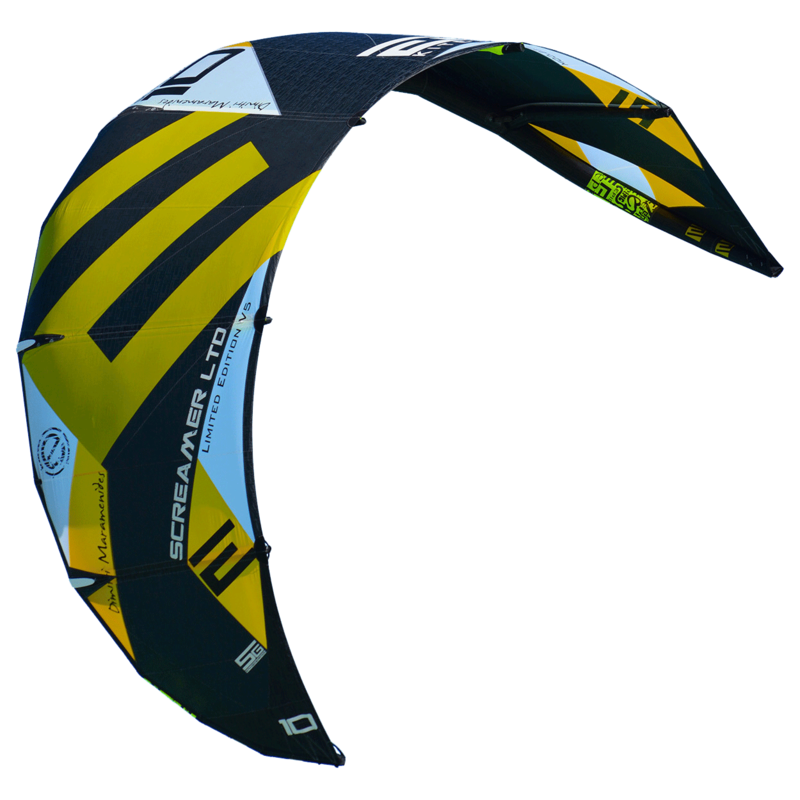 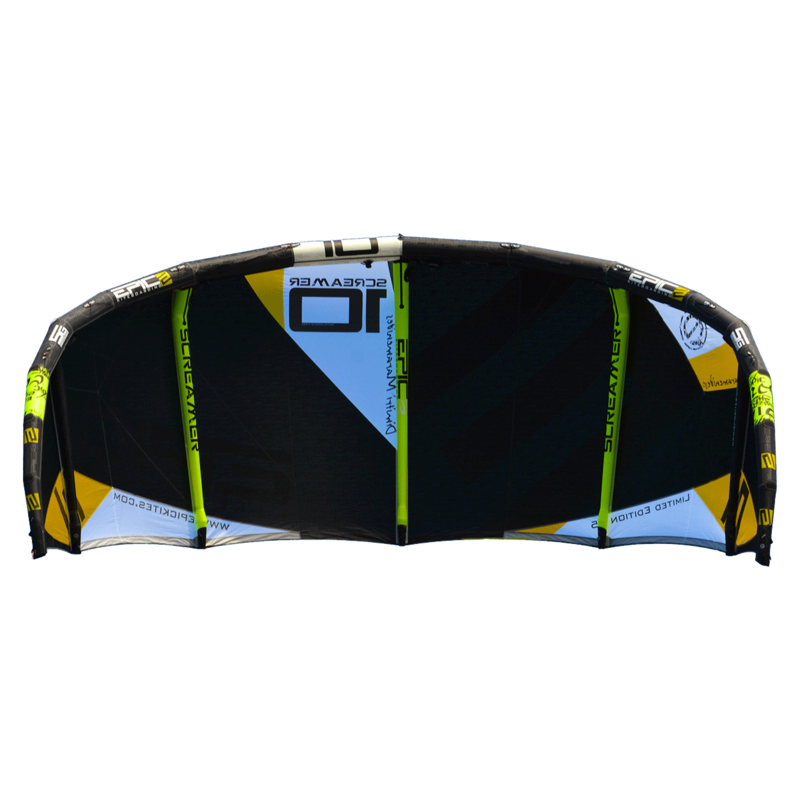 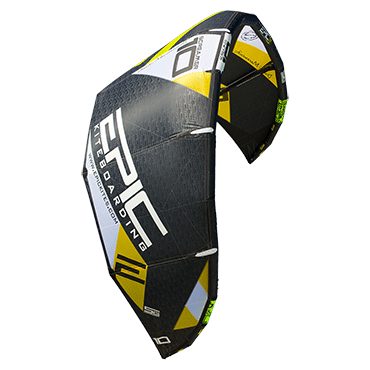 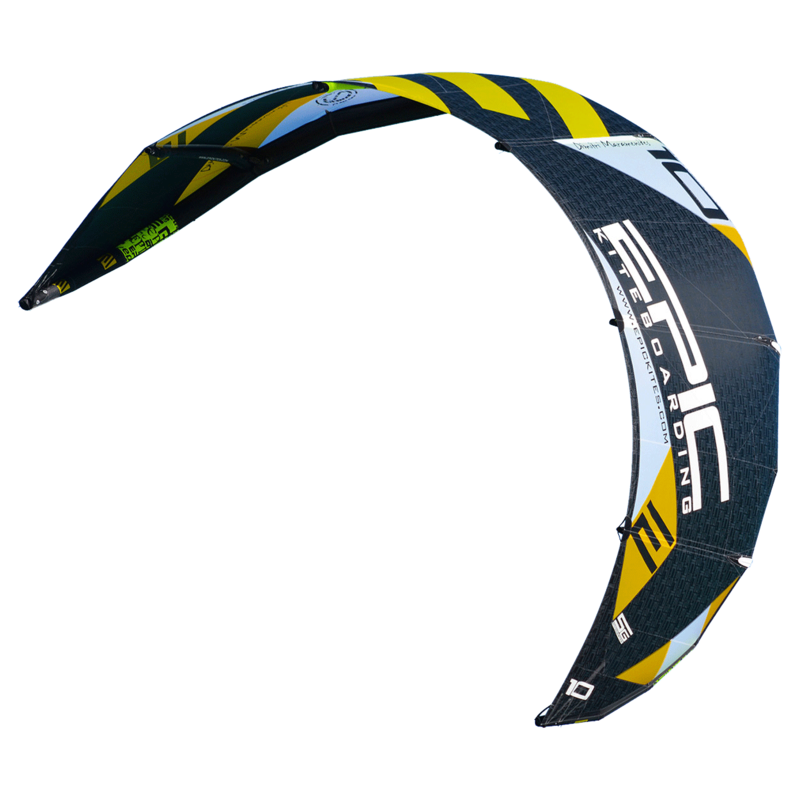 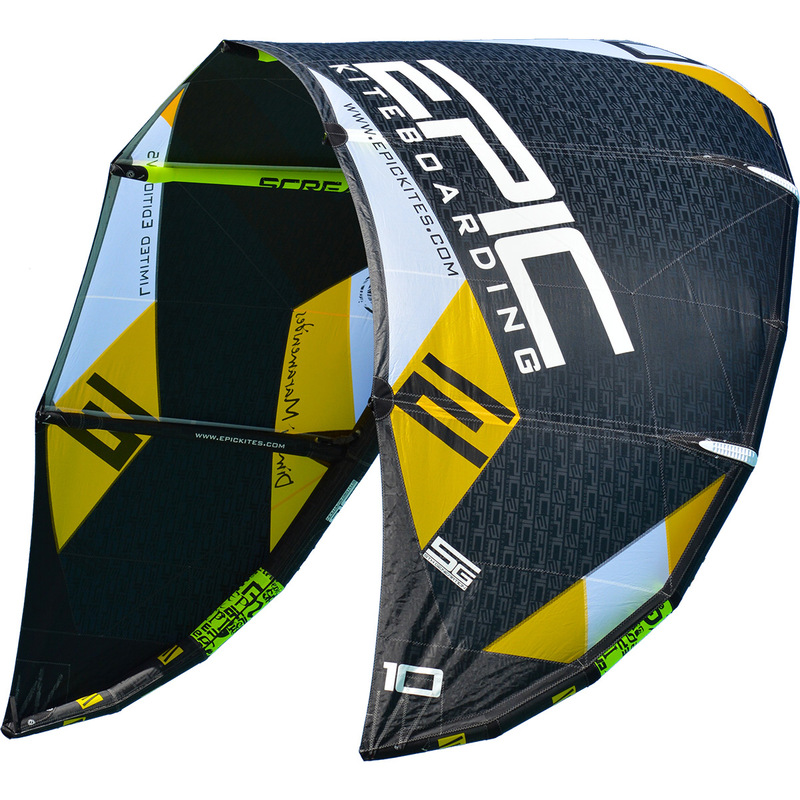 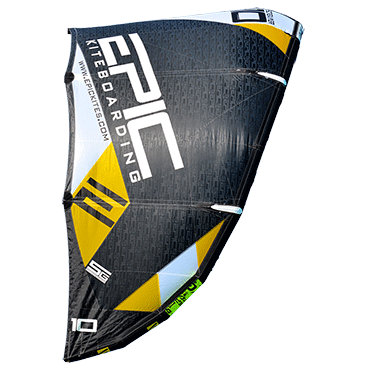 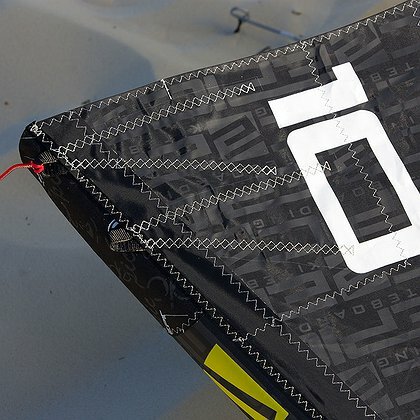 Newer riders will look to this kite for it’s smooth power delivery, stability and predictable flight characteristics. 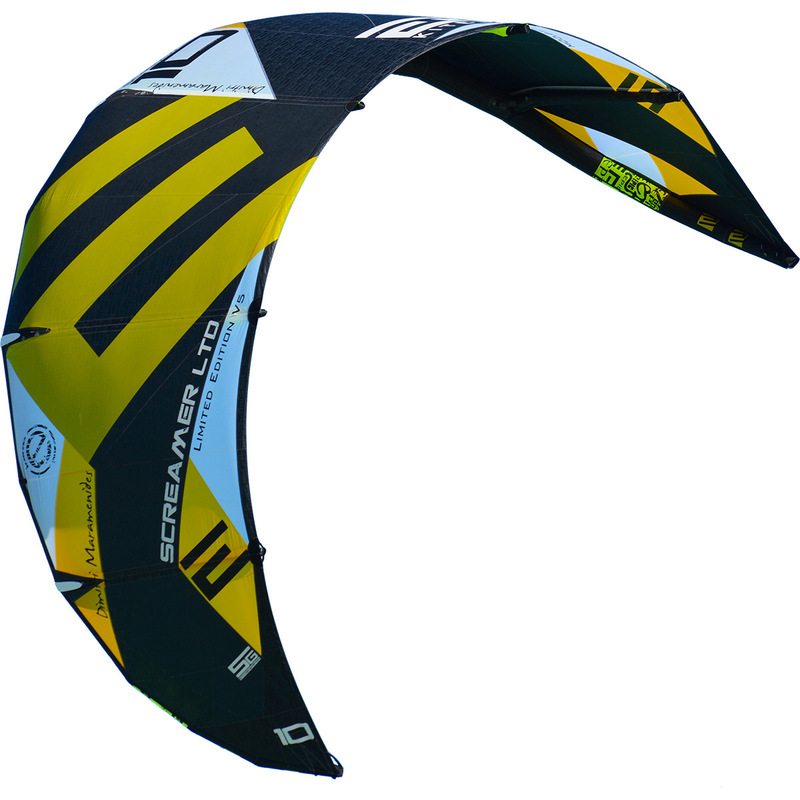 Improvements to the 5th generation Screamer LTD is a kite that flies through the window faster, is more efficient, and comes outfitted with our new Speed Valve inflate/deflate system that utilizes a large main valve and an extra, additional valve on the leading edge to relieve pressure in the event of a big crash thus preventing LE blowout. 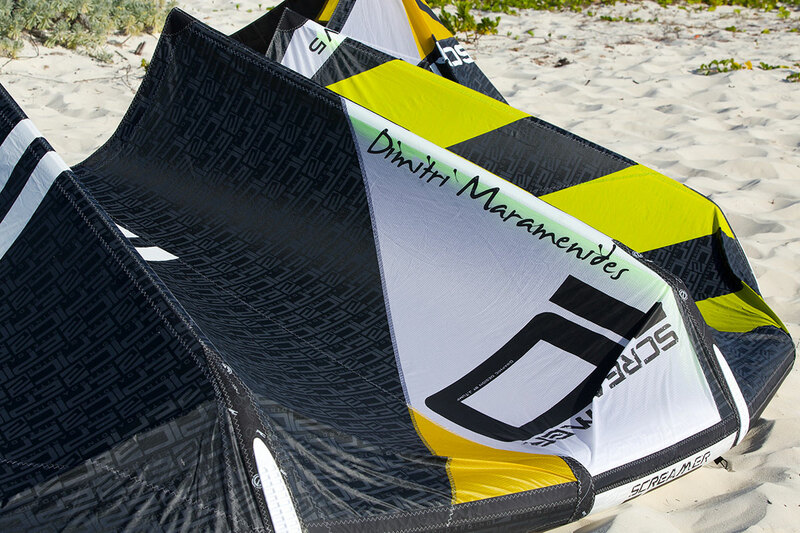 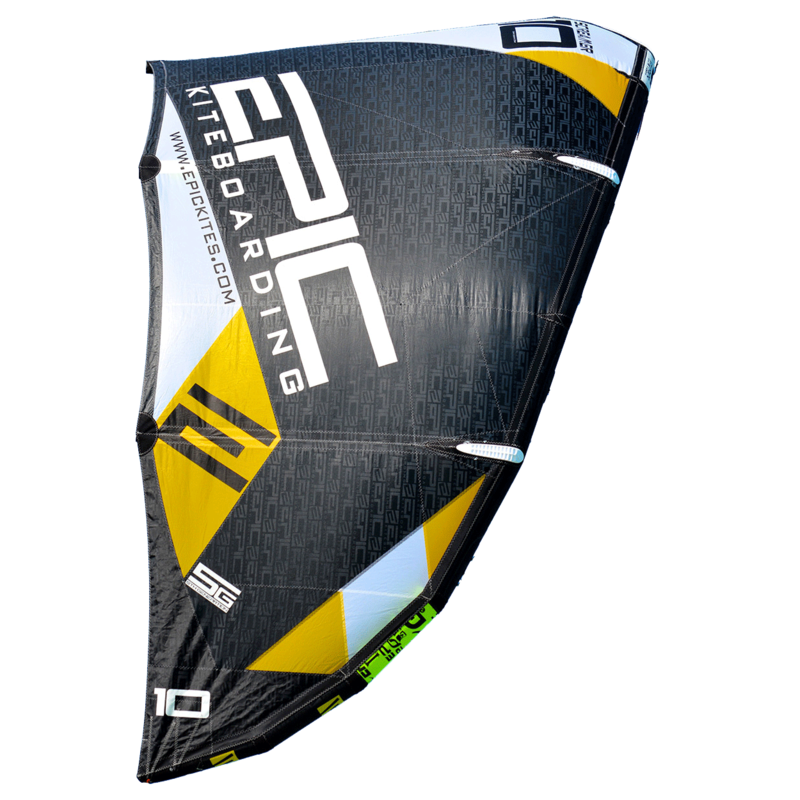 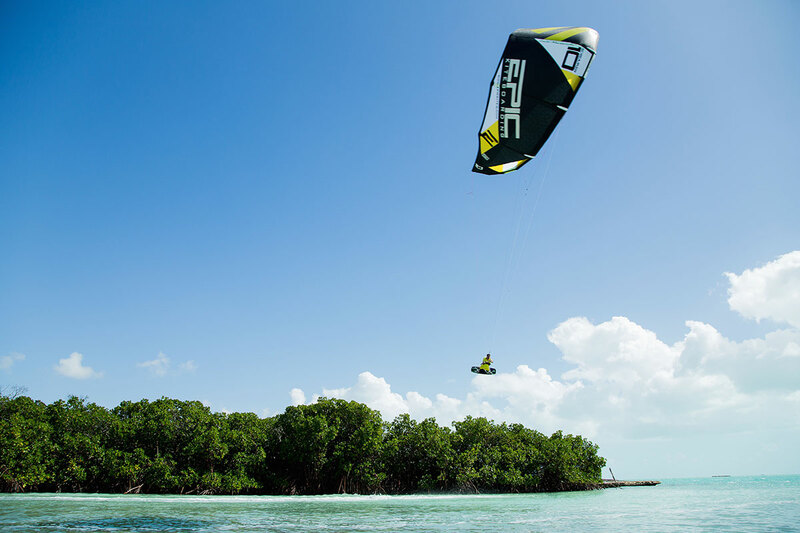 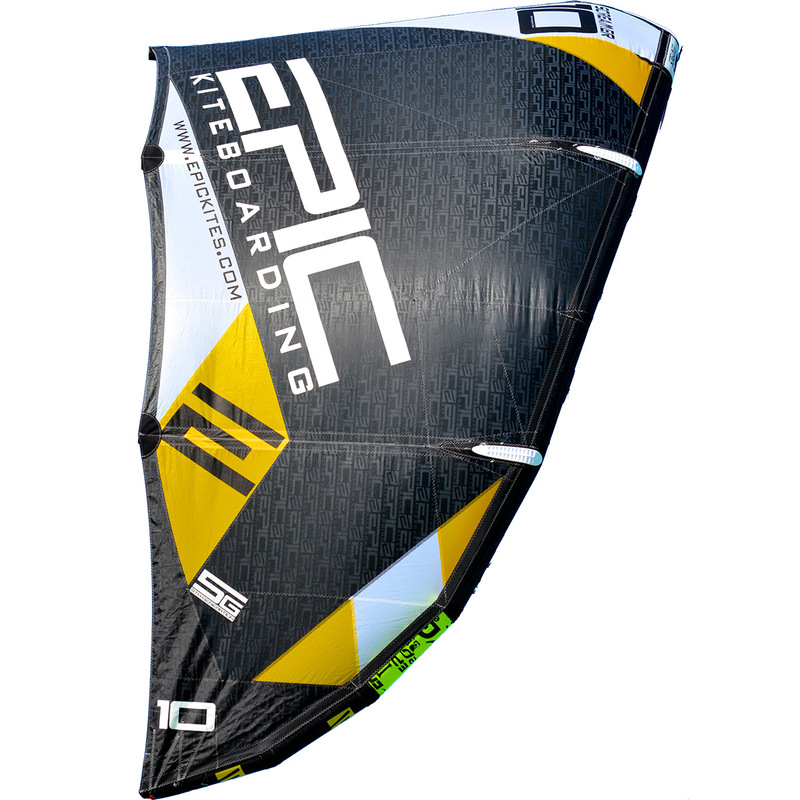 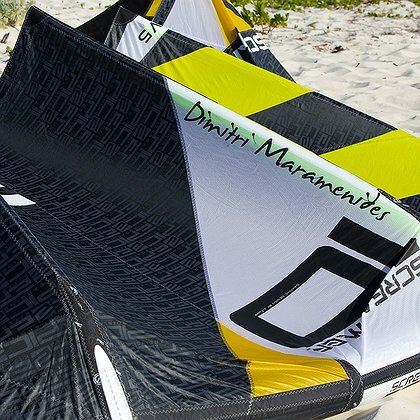 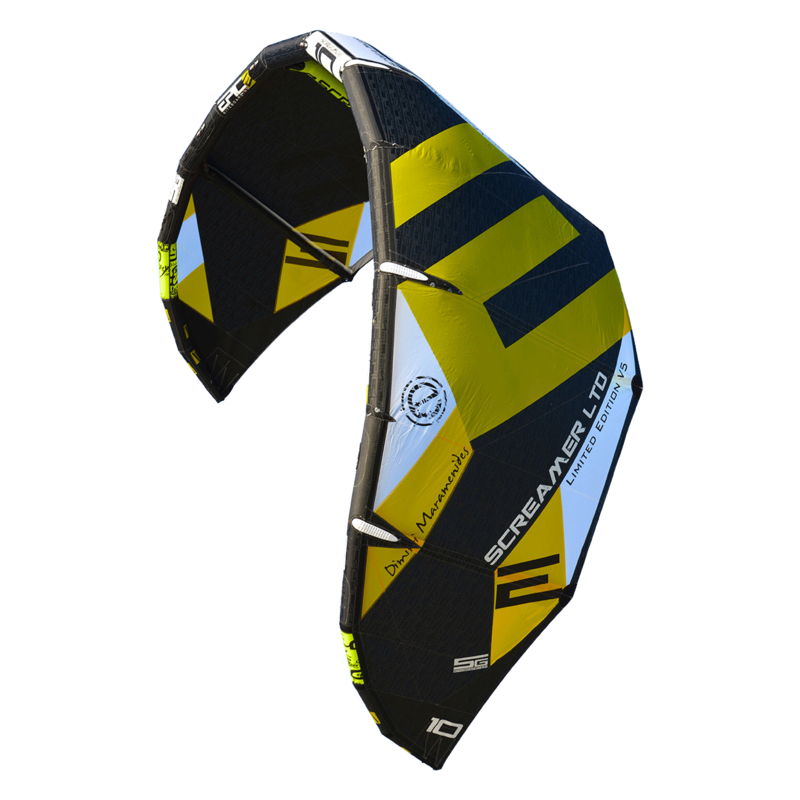 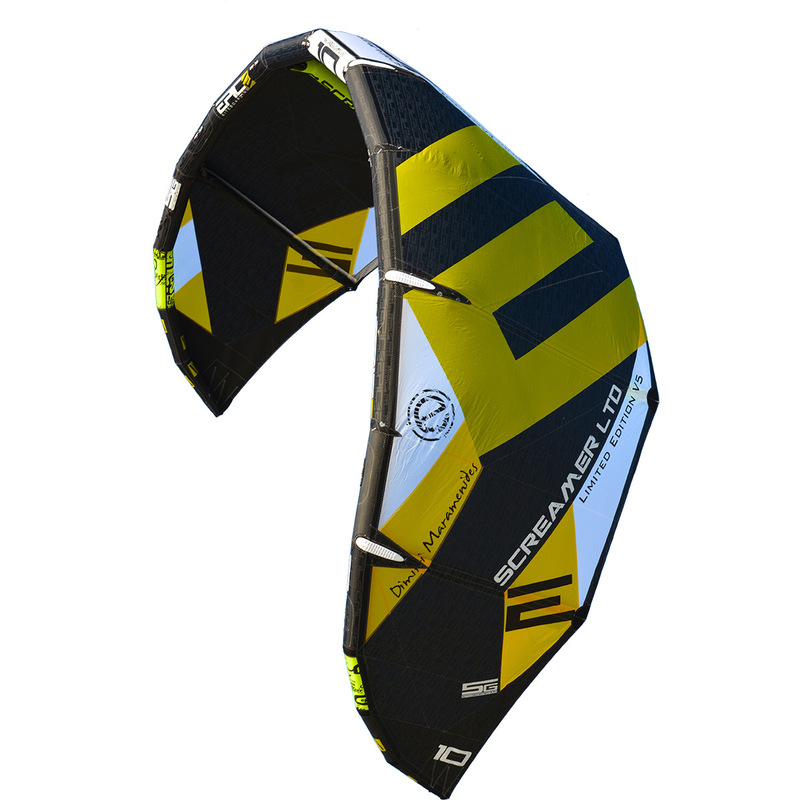 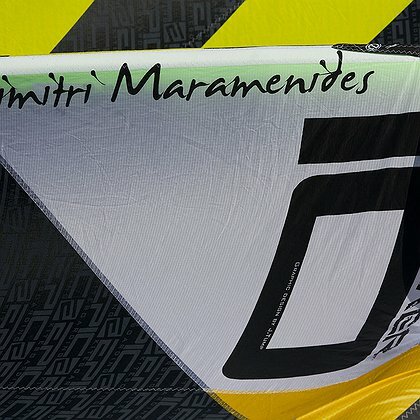 If you’re looking for something a little extra in your sessions, look for the new 5G 10 meter Limited Edition kite. 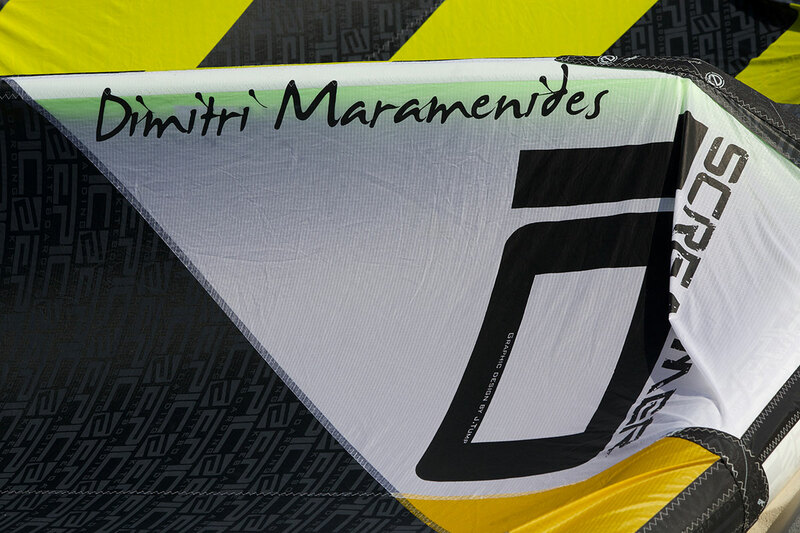 Comes only in the color you see. 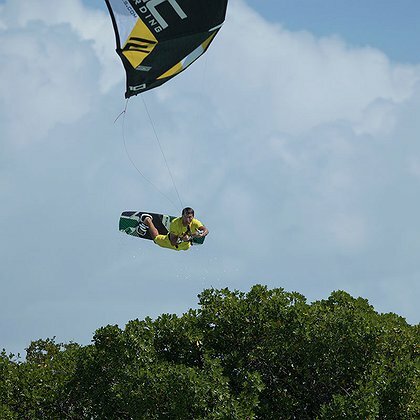 Speedy turns through the wingtip for themegaloop lovers.